The national advisory committee for Healthy Eating Research is a group of individuals with expertise in areas relevant to the Healthy Eating Research agenda. The national advisory committee assists in strategic planning, review of the research proposals, and making funding recommendations to the Robert Wood Johnson Foundation. Amy Yaroch, PhD, serves as chair of the committee. Amy Yaroch, PhD is the Executive Director of the Gretchen Swanson Center for Nutrition (GSCN). She also holds a Special Dean’s appointment as Professor in the Department of Health Promotion, Social and Behavioral Health at the University of Nebraska Medical Center, as well as an appointment as Adjunct Professor in the Department of Nutrition and Health Sciences at the University of Nebraska-Lincoln. Dr. Yaroch has over 20 years of experience in leading implementation of public health nutrition programs and evaluation efforts. 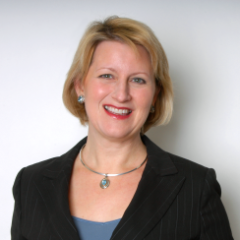 Prior to joining GSCN, Dr. Yaroch was a Program Director and Behavioral Scientist at the National Cancer Institute where she worked across the areas of nutrition, dietary assessment, survey development, obesity prevention, and skin cancer prevention. Since joining GSCN in 2009, Dr. Yaroch has been leading efforts in childhood obesity prevention, food insecurity, food systems, and program and process evaluation. She has also been working on evaluating policy advocacy campaigns, as well as conducting lessons learned for major initiatives, identifying facilitators and barriers and designing solutions. Dr. Yaroch has authored more than 140 papers, four book chapters, and has been awarded grants and contracts from federal and non-federal sources across a broad range of areas. 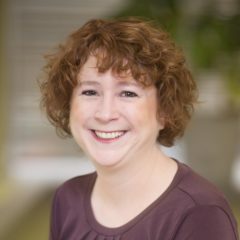 Tracy Fox, RD, MPH is President of Food, Nutrition & Policy Consultants and has over 25 years of experience in child nutrition, early care and education, school health, nutrition education, food labeling, policy and advocacy. Tracy held positions with USDA and the Academy of Nutrition and Dietetics and was past president of the Society for Nutrition Education and Behavior. Tracy has served and serves on various boards including National Academy of Medicine school foods, labeling and sugary beverages; she serves as a Healthy Eating Research Expert Advisor where she provides expertise on funding of research proposals; she has led and participated in the development of recommendations for healthy beverages, food marketing, Better-For-You foods, stocking standards for stores, and feeding guidelines; she is an appointed member of the Marshall County Board of Health and serves on various boards including the United Way of Marshall County and the Culver Boys and Girls Club. Tracy and her husband moved to Culver, IN from DC in 2014. Tracy is a retired Commander, U.S. Navy. Steven Gortmaker, PhD is Professor of the Practice of Health Sociology at the Harvard Chan School of Public Health where he directs the Harvard Prevention Research Center on Nutrition and Physical Activity (HPRC). The mission of the HPRC is to work with communities, state and local government, and other partners to develop, implement, and evaluate the effectiveness and cost-effectiveness of interventions to improve nutrition and physical activity and reduce obesity and chronic disease risk among children, youth, and their families, to translate and disseminate this work at local and national levels, and to reduce and eliminate disparities in these outcomes. Recent work includes the CHOICES project, focused on understanding and modeling the cost-effectiveness of interventions that can improve children’s nutrition and physical activity and reduce the prevalence of obesity. Work includes evidence reviews, collecting new data, and simulation modeling of the cost-effectiveness of a wide variety of interventions in multiple settings, including community interventions, state and city policies and school-based strategies. The CHOICES team has been working with 11 different state and city health departments and stakeholder groups in translating this research into action. Results are providing decisionmakers with both methods and data to use in deciding on “best value for money” interventions to reduce obesity prevalence in children and adults in the US. 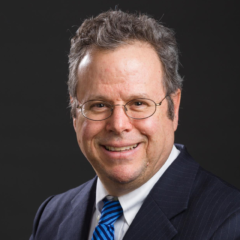 Steven has been an author of more than 240 studies, including recent CHOICES papers in Health Affairs, Preventive Medicine and the New England Journal of Medicine. Dr. Hoelscher’s research interests focus on teaching children and their families how to engage in healthy behaviors to avoid the development of chronic diseases, with a special emphasis on low-income, diverse populations. She has received multiple federal and foundation grants, and has over 170 peer-reviewed publications, as well as numerous awards for research and teaching. 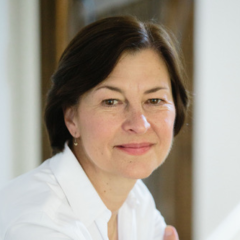 Dr. Hoelscher is Founding Director of the Michael & Susan Dell Center for Healthy Living, with a vision of ‘healthy children in a healthy world’, and an emphasis on translation and dissemination of evidence-based programs and best practices. As part of the Center, Dr. Hoelscher has overseen the development of a state-of-the-art dietetic education program, involving culinary arts, gardening, and a simulation lab through the Nourish Program at the UTHealth School of Public Health in Houston. She is the principal investigator of the School Physical Activity and Nutrition (SPAN) survey, funded by the Texas Department of State Health Services to monitor the prevalence of overweight/obesity in school-aged children in Texas. Dr. Hoelscher was President of the International Society of Behavioral Nutrition and Physical Activity (ISBNPA) from 2012 to 2013 and elected a Fellow of ISBNPA in 2015. Dr. Hoelscher joined the UTHealth School of Public Health in 1990. She attended Texas A&M University and received a Bachelor of Science degree in food science and technology. She went on to obtain a Master of Art in Nutrition and a PhD in biological sciences from The University of Texas at Austin. Shiriki Kumanyika, PhD, MPH has an interdisciplinary background and holds advanced degrees in social work, nutrition, and public health. She is a Research Professor in the Department of Community Health & Prevention at the Drexel University Dornsife School of Public Health and retains an appointment as Emeritus Professor of Epidemiology at the University of Pennsylvania after her 15-year tenure there. Dr. Kumanyika’s research focuses on identifying effective strategies to reduce nutrition-related chronic disease risks, with a particular focus on achieving health equity for black Americans. Over more than three decades, she has led or collaborated on research related to obesity, sodium intake, and other aspects of diet and lifestyle. Several of these studies have evaluated interventions to promote healthy eating and physical activity in African American children or adults in clinical or community-based settings. Her recent research has focused on the effects of targeted marketing of unhealthy foods and beverages, including food price influences, on household food availability in Black communities. Dr. Kumanyika founded and chairs the Council on Black Health (the new identity of the African American Collaborative Obesity Research Network (AACORN)). The Council’s mission is to develop and promote solutions that achieve healthy Black communities. She is a past president of the American Public Health Association, a member of the National Academies Roundtable on Obesity Solutions, and has served on numerous advisory or expert panels related to obesity policy and prevention nationally and internationally. 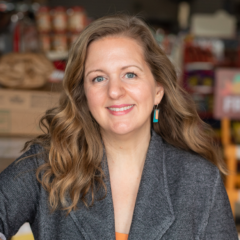 Dr. Melissa Laska is a Professor in the Division of Epidemiology and Community Health at the University of Minnesota, where she also serves as Director of the Program in Public Health Nutrition and Co-Director of the Obesity Prevention Center. Dr. Laska’s PhD is in nutrition, and she is a Registered Dietitian. Her primary research interests are in modifiable and contextual determinants of obesity, eating behaviors and food environments, with particular interests in healthy food access in underserved communities. Her research has been supported by the National Institutes of Health, U.S. Department of Agriculture, Centers for Disease Control and Prevention and American Heart Association. She has authored nearly 150 publications, which have been cited by researchers in every region of the world, including in scientific journals in 24 languages and more than 100 countries. 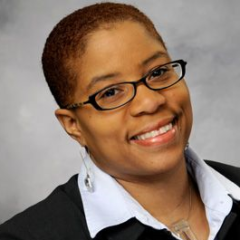 Dr. Angela Odoms-Young is an Associate Professor in the Department of Kinesiology and Nutrition in the UIC College of Applied Health Sciences and a Institute for Health Research and Policy Fellow. Her research examines social, cultural, and environmental factors that contribute to disparities in diet-related health outcomes. Her expertise includes obesity prevention, community-engaged and community-based participatory research, health equity, qualitative and ethnographic methods, and program evaluation/planning. Prior to joining UIC, Dr. Odoms-Young served on the faculty of Northern Illinois University in Public Health and Health Education. She completed a Family Research Consortium Postdoctoral Fellowship examining family processes in diverse populations at the Pennsylvania State University and the University of Illinois at Urbana-Champaign and a Community Health Scholars Fellowship in community-based participatory research at the University of Michigan School of Public Health. Rafael Pérez-Escamilla, PhD is tenured Professor of Public Health, Director of the Office of Public Health Practice, and Director of the Global Health Concentration at the Yale School of Public Health. His global research program has led to improvements in large-scale breastfeeding protection, promotion, and support programs, iron deficiency anemia among infants, household food security measurement and policies, maternal, infant and young child feeding counselling initiatives, and lifestyles and metabolic outcomes among Latinos with type 2 diabetes supported by community health workers. He has published over 210 research articles, co-edited 2 books, and published numerous journal supplements, book chapters, and technical reports. 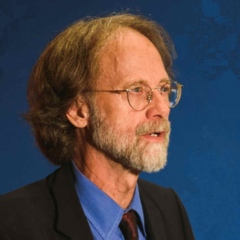 He served as a member of the U.S. National Academies of Sciences, Engineering and Medicine (NASEM) Food and Nutrition Board (2012-18), The US Dietary Guidelines Advisory Committee (2010 and 2015), the 2016 Lancet Early Childhood Development Series steering committee, and co-chaired the HER-RWJF National Expert Panel that developed the comprehensive Responsive Infant and Young Toddler Feeding Guidelines (2017). He is co-Editor-in-Chief of Maternal & Child Nutrition and Deputy Editor of Current Developments in Nutrition. He has been a senior advisor to maternal-child nutrition programs and household food security projects funded by USDA, CDC, USAID, WHO, UNICEF, The World Bank, the Gates Foundation, Zero to Three, and Governments across world regions. He obtained his BS in Chemical Engineering from the Universidad Iberoamericana in Mexico City, his MS in Food Science, his PhD in Nutrition, and his early childhood development postdoctoral training from the University of California at Davis. 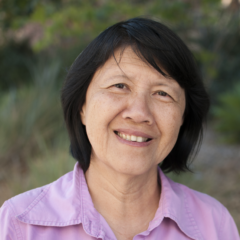 Dr. May Wang is a Professor in the Department of Community Health Sciences, Fielding School of Public Health, UCLA. Her research focuses on social and physical environmental influences on child nutrition, growth and health, and the contributions of policies, systems and the environment to nutrition and well-being. She is especially interested in addressing social disparities in child nutrition and the well-being of migrant families with a global perspective, and in applying systems science methods to advancing translational obesity-related research.